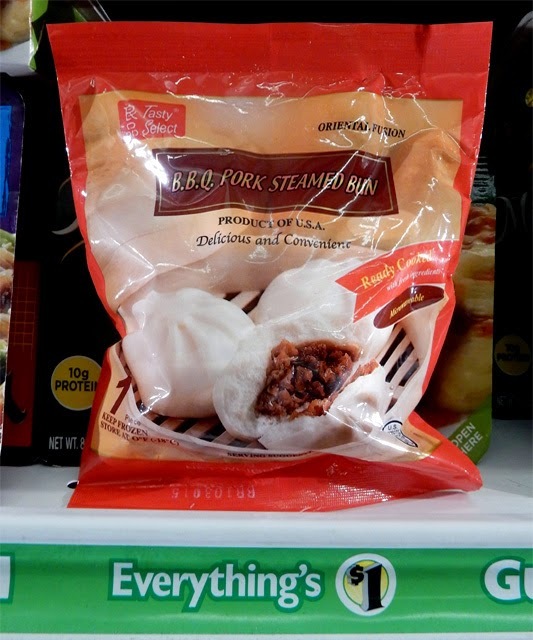 I microwaved the most unusual Deal of the Day, B.B.Q Pork Steamed Bun by Tasty Select. You have to trek to a Chinese restaurant for Dim Sum to find these, but I got mine from my local Dollar Tree store. Lately I've found that the frozen deli cases at Dollar Tree rival The 99c only Store's. A myriad of frozen $1 meals and cold produce like: turkey bacon, feta cheese, frozen veggie and fruit bags, desserts, etc. Sometime you gotta take a chance, and when I saw these frozen B.B.Q Pork Steamed Buns I went for it. And I was not disappointed. This is a savory and sweet snack you can hold in your hand. Usually, I get golden baked B.B.Q Pork Buns to go from my local Chinese restaurant. This Cheap$kate Deal of the Day is the steamed version - a good second choice. 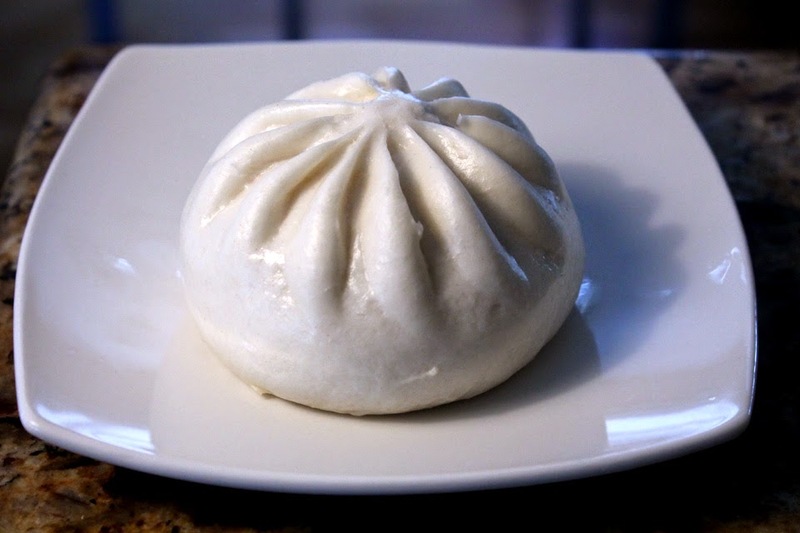 Steamed buns are light and soft like a snow ball. The slightly sweet dough is made right, with the texture of Angel Food Cake. It is a nice sized bun, too. I was surprised by the well flavored B.B.Q pork stuffing. The gravy is typically sweet and seasoned nicely. Common Chinese spices are easy to spot, like: soy sauce, oyster and hoisin sauces. And there are real pieces of B.B.Q pork. Now, they are small pieces, but it's the real thing, at least I think it is, or it could just be the flavor of B.B.Q sauce. 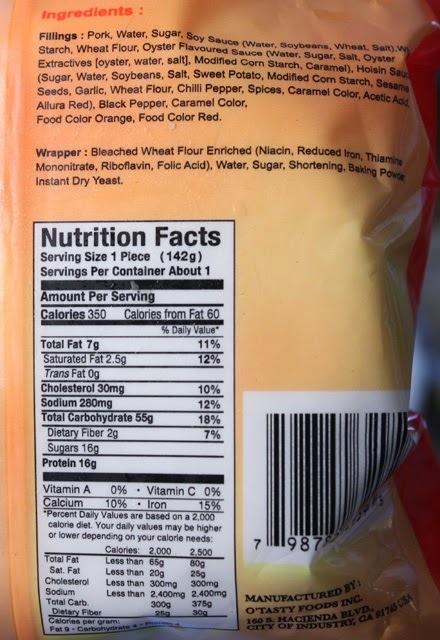 Pork is at the top of the ingredient list, so I'll take their word. 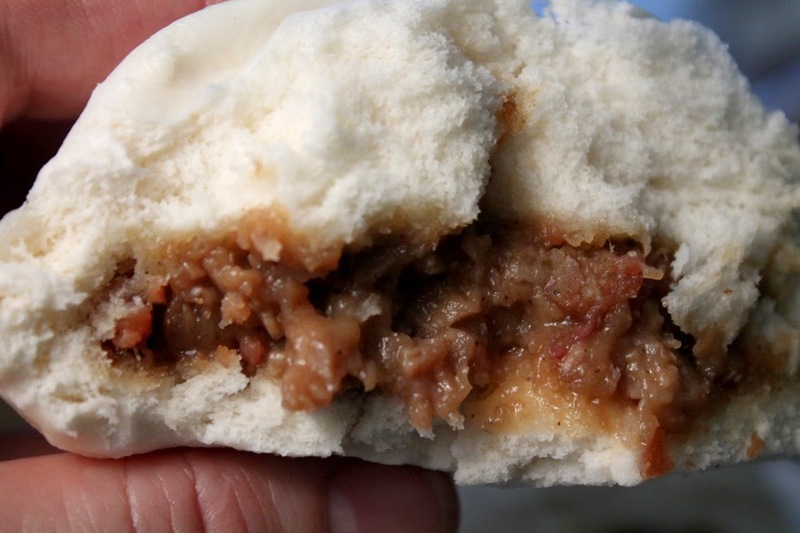 The pork is tender and tasty; a nice pairing with the fluffy steamed bun. I microwaved the bun for about a minute and a half. The bun remained spongy and light and the meat sauce did not dry out. For variety, next time I would steam it. I bet you can guess my Cheap$kate rating of 1 to 9, 9 being best. 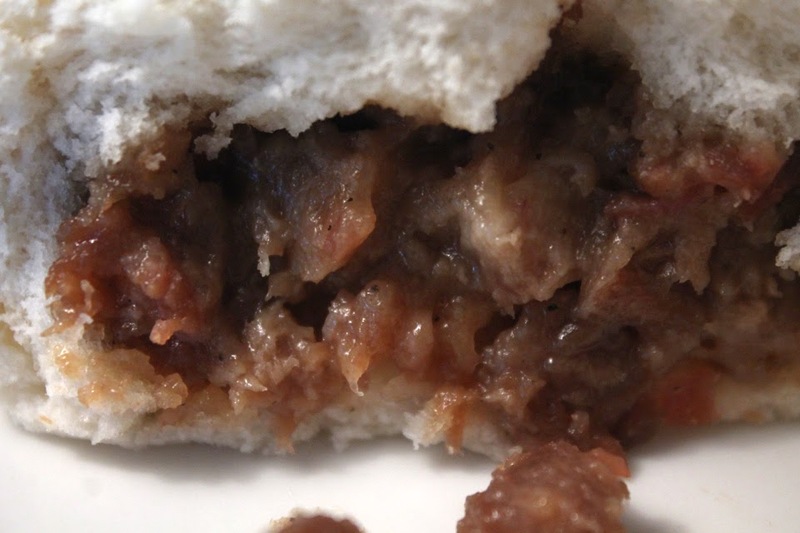 Well, I give B.B.Q Pork Steamed Bun by Tasty Select a perfect 9 ! This Deal of the Day is a real find and I will get more with the next Dollar Tree visit if they are still stocked - you never know, when shopping at 99 cent or Dollar stores. Finally a store I can visit in Austin! I'll look for these tomorrow. I Wrap it in clear wrap and microwave it. It's so good. FOund mine in ohio at the dollar store. Bwah! Dollar tree has quit selling in my area any idea where to fulfill my toddlers obsession? Bwah! Dollar tree has quit selling in my area! Any idea where I can fulfill my toddlers obsession? THESE BUNS ARE GOOOOOOOOOOD *O* Why oh why did Dollar Tree stop selling these -_- They gave us pot stickers instead, but they're still pretty good... except you don't eat Congee with pot stickers in the morning, the Bun was ESSENTIAL!! !